For years Grant Nooe has been a staple in Jackson’s culinary scene. With past projects including Brick Oven Café and Pan-Asia, Nooe has left an indelible mark on the Capital city. However, early in 2011, Nooe sold his shares in Fresh Market Café and Pan-Asia and opened a new restaurant on Lakeland. 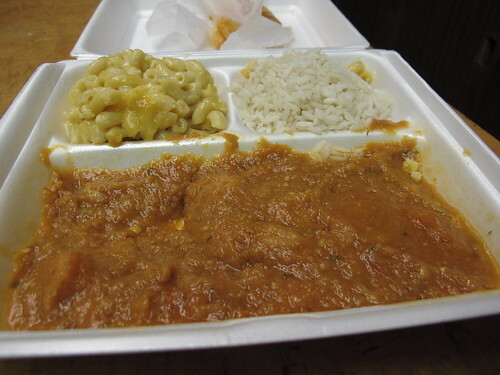 Centered on the idea of “quick cuisine”, Grant’s Kitchen is Nooe’s take on the classic Southern meat and three. 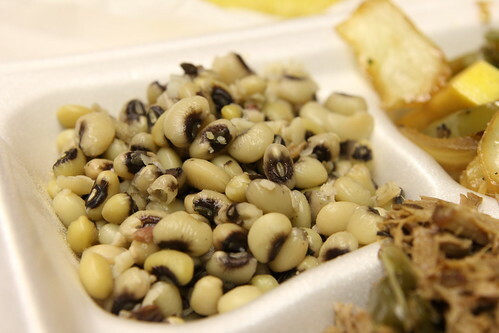 While I may not have been too complimentary towards his Asian efforts, I was curious to see what Nooe could do to improve Flowood’s lunch offerings. 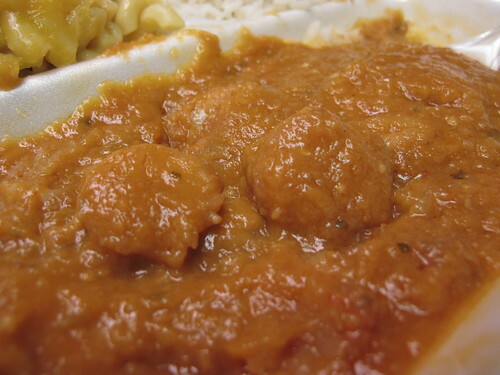 So over the course of three separate Styrofoam packaged meals, Grant’s Kitchen showed its true colors. 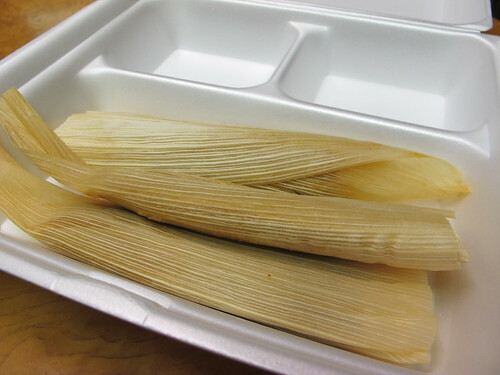 Since Tony’s Tamales moved to their Ridgeland location and retired chicken and dumplings from their menu, I’ve been searching for a quality replacement. Knowing Nooe’s background, I had high hopes for my first excursion to the former Pizza Hut location. If congress approved pizza as a vegetable, then I can count macaroni and cheese as a vegetable too. 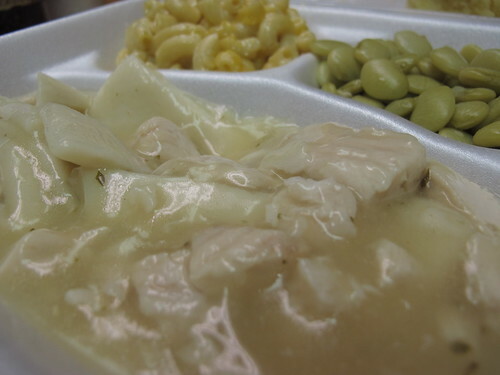 From the first bite, there was something different about these chicken and dumplings. The sauce was velvety, thick and gelatinous; the dumplings were pillow soft, and the chicken, amazingly moist, especially for white meat. 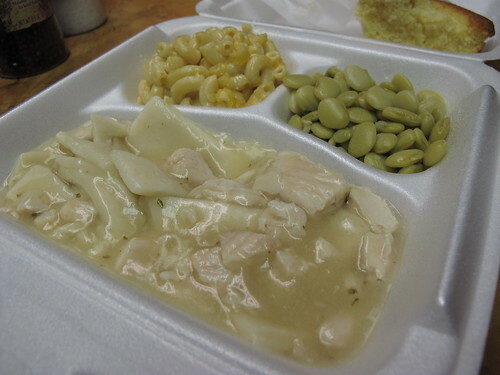 Accompanying the chicken and dumplings was an order of butter beans. 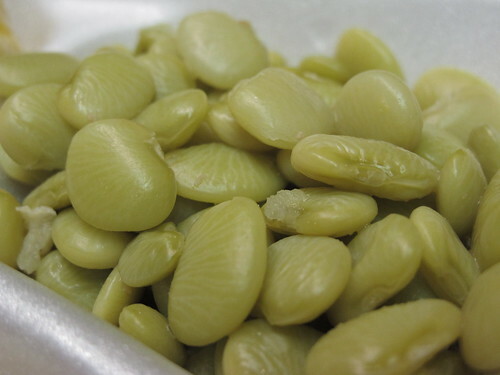 Overcooked and a little chalky, these butterbeans had a few token flecks of pork and made for a halfway decent side. 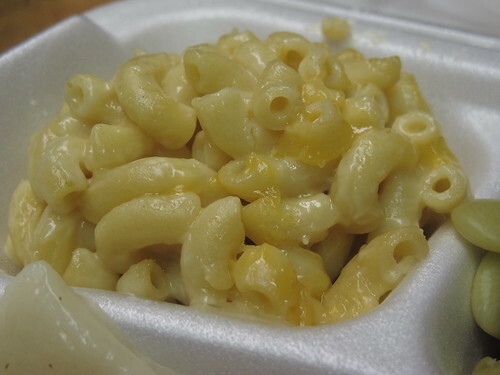 Along with the butterbeans was the second vegetable, macaroni and cheese. This was your garden-variety mac and cheese, served from a disher and one dimensional. 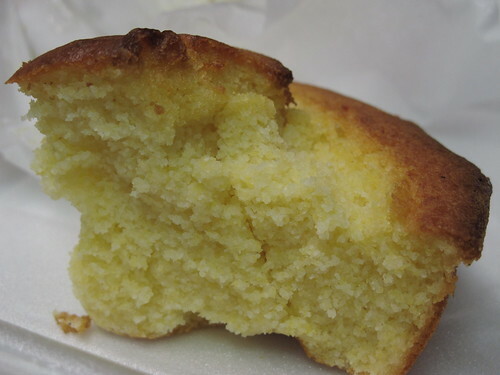 Rounding out the plate was an order of cornbread, and I have to commend Grant’s kitchen for their preparation. 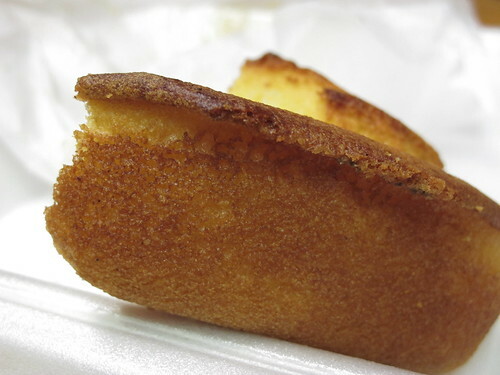 Every order of cornbread is cooked in a small, cast iron skillet. It’s a time consuming method, but it makes for a stellar crust. Well, stellar might be a bit much for this batch of cornbread, but it’s still a step above the average Jackson cornbread. As for the taste, it’s another middle of the road offering from Grant’s Kitchen. Not too salty nor too sweet, it’s just sort of there. 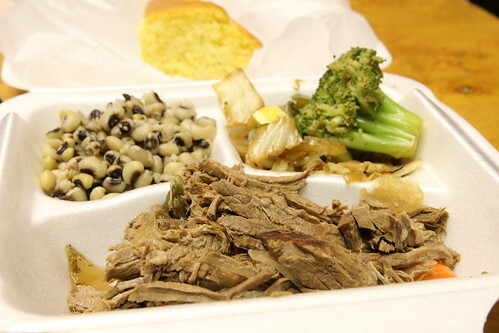 Hoping to find the same success, the next takeout from Grant’s Kitchen featured another homestyle favorite, the pot roast. I figured it was time to have two real vegetables for sides, so goodbye mac & cheese. While the people behind the cafeteria line at Grant’s Kitchen certainly didn’t skimp on the portion size, no amount of beef would make this plate worth eating. 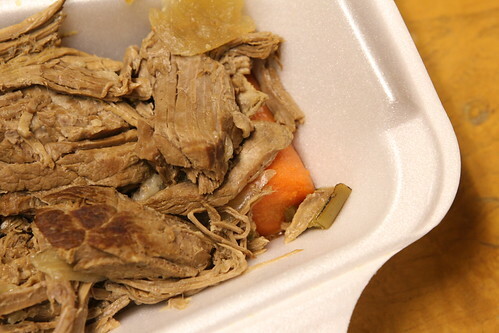 There may have been plenty of lightly shredded beef, a few errant carrots, and even a few ladles of au jus, but nothing could cover up the sheer dryness and stringiness of this beef. 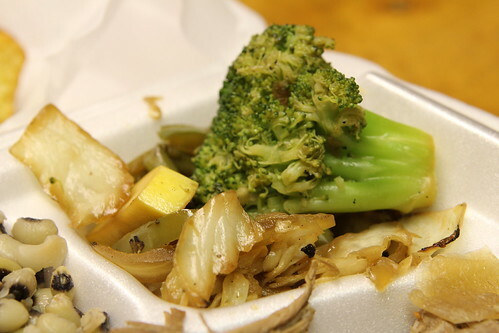 It is refreshing to see a meat and three restaurant try and branch out with vegetable selection, and the side of stir-fried vegetables certainly made an effort. Say hello to the flavors of soy and rice vinegar dished over onions, cabbage, squash, huge broccoli florets, and red bell peppers. 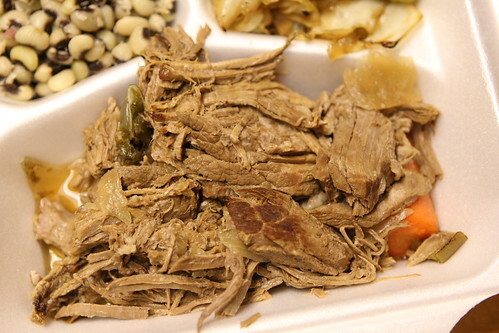 Sadly, however adventurous this might seem to the average meat and three patron, this greasy, overcooked side dish barely belonged on a cheap Chinese buffet. If you like chalky and insipid, then these are the peas for you. At this point, it was a several month hiatus before I decided that Grant’s Kitchen needed at least one more chance to show up. I suppose I’m a glutton for punishment, but after the turnaround between my second and third visits to Fusion, I held out hope for Grant’s Kitchen. When I arrived, I was happy to see a special for that day, tamales. Served three to an order, it made for an austere presentation in its takeout box. 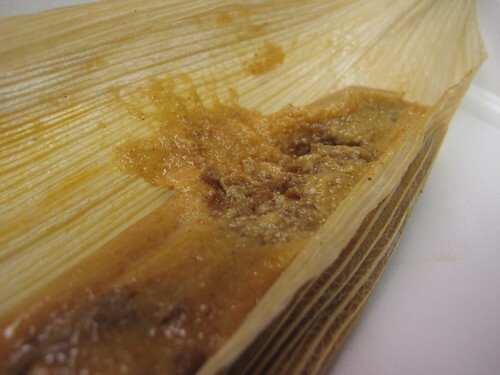 Unwrapping the first tamale, things looked fine. However the first prod with a fork revealed gummy corn dough with an equally gummy meat filling. 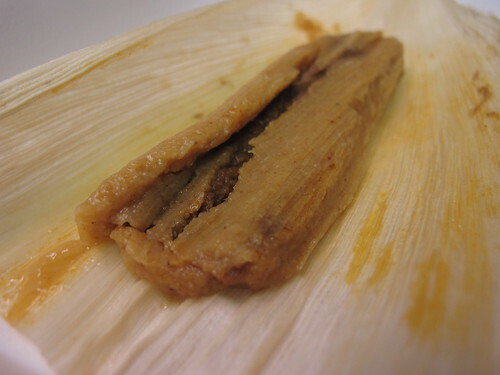 Texture aside, these tamales had an initially pleasant heat that lingered with just a touch of burnt and acrid flavors, but even if the flavors had been golden, the texture was simply too poor to continue. Moving past the tamales, it was time to see how Grant’s Kitchen could handle a little seafood with their shrimp étouffée. 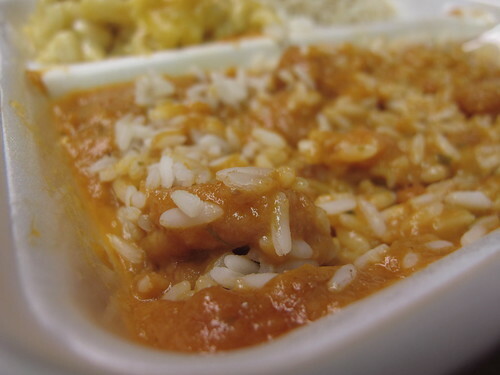 I don’t often see étouffée with such an orange color. The texture was equally odd, very thick and velvety but it was the initial taste that really caught me off guard. It had the taste of a pumpkin or winter squash soup. As for the shrimp, there was a fair amount and of a good size, but, like so many other steamer tray victims, they were overcooked. 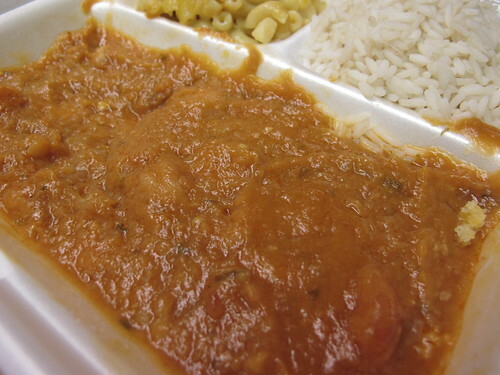 On the whole, this wasn’t a particularly spicy étouffée and the flavor was odd but likeable. The last thing on the plate was a wedge of Mexican cornbread. 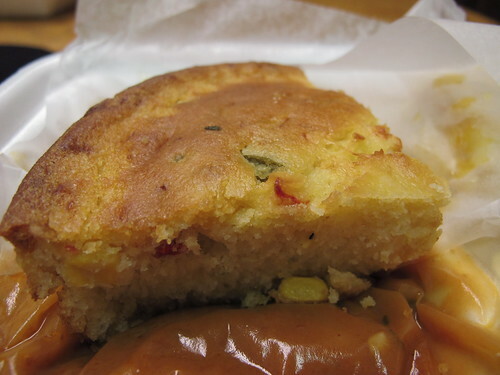 Featuring the same slightly above average crust as the regular cornbread, this Mexican cornbread was chock full of peppers and corn. Spicy and not too sweet, this was one of the takeout highlights. Despite a few decent showings, the chicken & dumplings , Mexican cornbread, and maybe the étouffée, Grant’s Kitchen ended up as little more than a well dressed Picadilly. The setting may be appealing and there may be Sriracha in the condiment station, but it seems that even Nooe can’t escape the dark grasp of the steamer tray. I’m sure some people will enjoy the variety of overcooked, underseasoned vegetables and meats, but I’ll keep looking for something better.